Looking for the perfect gift for a wine lover (or just a treat for yourself)? Instead of wracking your brain thinking of a funny wine quote to get printed on a mug, or standing in the bottle shop wondering what they’d prefer, why not leave the choices to the lucky receiver by gifting them membership to a wine club? Taltarni Vineyards and Winery bring their cellar door to you with their premium wine club, The Taltarni Cellar Key Club. With no membership fees, sign-up costs, or contracts, all you have to do is order from their range of wine selections and start sippin’! One of the founding wineries of Victoria’s Pyrenees region, Taltarni was built on the principles of individuality, independence, and expression, and each of these traits come through clearly in their range of top-notch Aussie reds, whites, and sparklings. A Taltarni Cellar Key Club membership lasts for two years, and members can choose to receive their selections each quarter, or twice a year to space things out (probably wise, knowing our wine-downing skills). 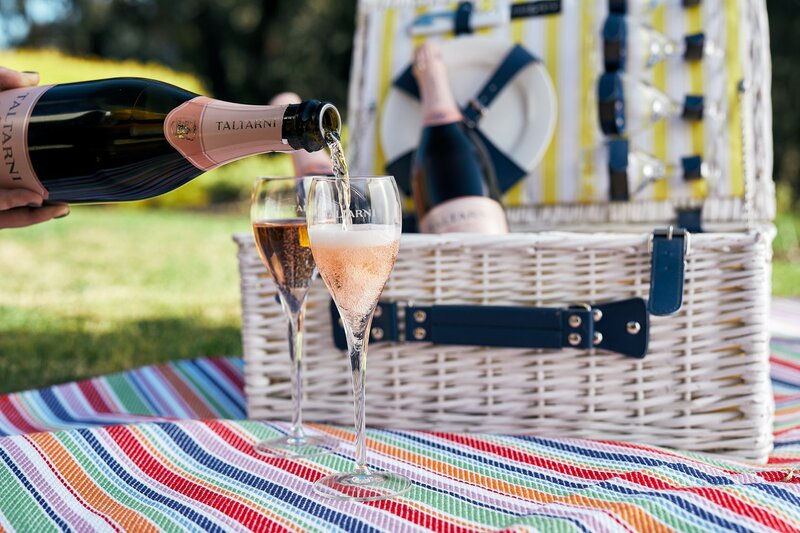 Membership benefits include free shipping on all deliveries (we’re in purely for this perk), a complimentary bottle of sparkling to celebrate your birthday, 25% off additional online purchases, and additional wine offers from Taltarni and their Tasmanian cousin, Clover Hill. Members can choose from red, white, sparkling or mixed boxes, or seasonal selections. We’re loving the summer seasonal selection with a bunch of fresh and light drops to enjoy in the warmer weather – summer sips sorted! As well as whipping up some unbelievably good vino, Taltarni Vineyard and Winery is committed to protecting and nurturing the pristine Victorian ecosystem in which they grow and produce their wines. By fostering more than 2000 native plants, winemakers have created an ideal ecosystem for beneficial insects, decreasing their use of pesticides and chemicals, and supporting native fauna. The perfect gift for a wine lover, or a great way to keep your wine cellar (read: cupboard) stocked up, a couple of bottles delivered from Taltarni Vineyard and Winery is sure to keep even the pickiest tippler happy. - the gourmand who hopes she's gifted a membership.